Did you get an invite to the best thing happening in the digital world this week? The GIF party of the century just happened, NYT and YouTube get into VR, Google’s AI answers our emails, and Warner even cut their ad time. So, grab a cold one, sit back and scroll through the top digital marketing news in this week’s edition of, The Weekly Wins. On Tuesday The New York Times announced their virtual reality project with Google. Changing the landscape in which we consume the news. A million subscribers will be receiving their cardboard VR viewers. The film is called “The Displaced” and it’s about children uprooted by war. Jake Silverstein, the magazine’s editor, said, “The power of VR is that it gives the viewer a unique sense of empathic connection to people and events.” The film, ‘The Displaced’ is made with the help of VR company VRSE. Your must read on the film is, NYT VR: How to Experience a New Form of Storytelling From The Times. Time Warner is trying to save cords by showing fewer ads. Consumers have been moving to on demand programming and avoiding ads completely. The company is on a move to up the value of the traditional cable bundle by significantly decreasing the number of ads that they show. According to an article in The Verge Warner are going to start with their younger demographic. The plan is to decrease the volume of advertising by 43%, which is fairly hefty change. This week Google have been partnering up, and building their own awesome tech. According to TechWorm’s article, Google’s New AI Will Reply to Your Gmails so You Don’t Have To. Their plan is to launch a feature that will go beyond the automated response and actually answer your emails for you. This new technology is called Smart Reply and uses “deep learning” – a form of artificial intelligence. It will offer a few brief responses for each email, you know, to give your fingers a break. This type of technology learns how to respond, which is pretty cool. "The network will tailor both the tone and content of the responses to the email you’re reading”, says Alex Gawley, Product Management Director at Google. 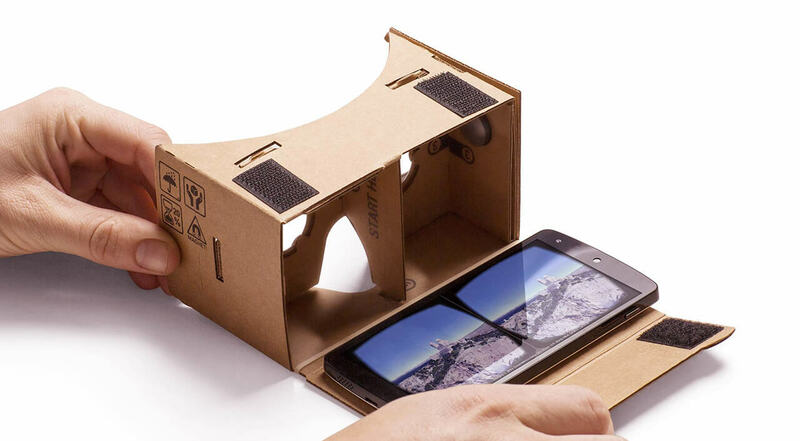 Virtual Movie Theatre: You can now watch any Youtube Video on Cardboard. YouTube did something else big this week, they made every one of their videos compatible with Google Cardboard. In our book that’s pretty awesome. You can now watch all YouTube videos in virtual reality. The future of storytelling is changing right before our eyes. For more on this move have a read of Venture Beat’s article here, sadly not yet in VR. If you think Gifs couldn’t get any better. Think again. In between the fight for digital real estate, the tech giants, and world news we forget just how much fun the Internet really is. 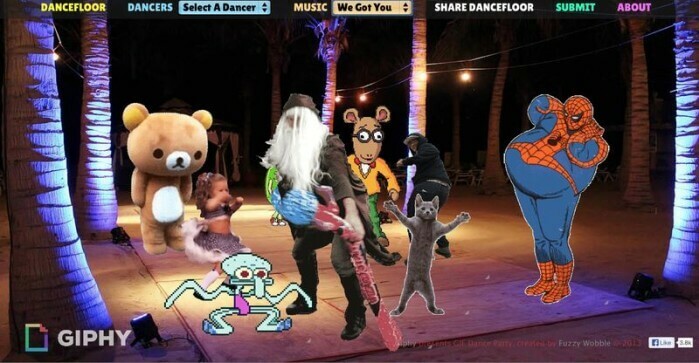 The GIF Dance Party is just the little reminder we needed. Warning, productivity levels might decrease drastically. This win is brought to you by the hashtags, #Don’tHoldBack and #EveryBodyDanceNow. Cue our theme song! Pour another cold one, build the ultimate GIF dance party and have an awesome weekend out there.